Prior to the Apple’s annual launch event on September 12th, the company was heavily rumored to unveil a new line-up of iPads alongside the iPhone XR, iPhone XS and the iPhone XS Max, but that didn’t happen. While many suspected that Apple’s refreshed line-up of iPads has been delayed, the latest iOS 12 beta update has reignited the speculation that Apple might unveil a new iPad Pro model in the fall 2018 season. The code of the iOS 12.1 beta build mentions ‘iPad2018fall’ as an identifier within the assets used by the Setup app. 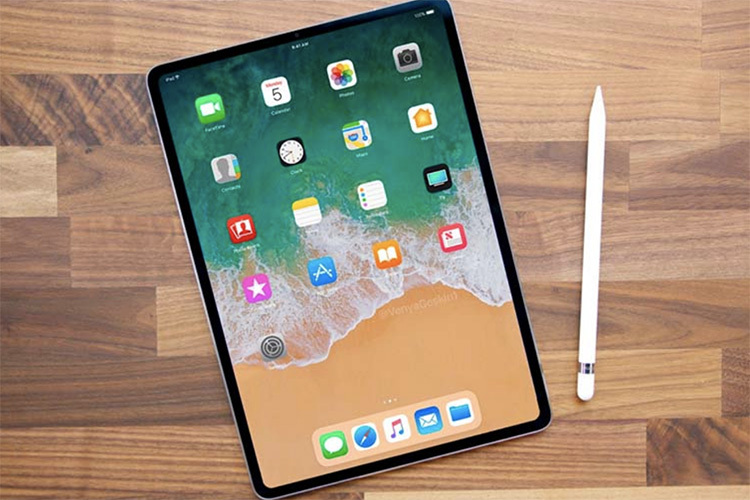 The Setup app, as you might know, is the application responsible for helping users set up a new device, which indicates that a new iPad model is in the pipeline. According to a report from 9to5Mac, the older builds of the Setup app only contained identifiers for the new line-up of iPhones, which have now been launched. So, the mention of another device dubbed the ‘iPad2018fall’ makes it almost certain that Apple is testing a new iPad which might be unveiled soon. As for the ‘fall’ timeline mentioned in the code, the fall season ends in December, but in the past, Apple has held iPad launch events in October multiple times. So, there is a strong possibility that the company might debut a new iPad model next month. Additionally, the code of iOS 12.1 beta also contains the mention of Face ID support in landscape orientation, which is presumably a feature that will be implemented on a new iPad model. Software developer, Steve Troughton-Smith, recently explained that adding support for Face ID authentication in landscape mode would require realigning the sensors, which means that existing Apple devices which have hit the market won’t support the feature. So, this leaves only one candidate for implementing Face ID support in landscape mode, and that one candidate might well be a new iPad Pro model. Ming-Chi Kuo, one of the most reliable Apple analysts, predicted earlier this month that a new iPad Pro model that will feature USB Type-C support might be launched soon.